Effective communication is at the heart of any successful enterprise, but that’s especially true of health care. Whether it’s making sure that patient information is accurate, keeping referrers apprised of a patient’s condition, or delivering appropriate care, communication is essential. It requires systems that facilitate accurate and timely exchange of information to support efficient workflow. Every medical facility is looking for opportunities to work smarter. University Diagnostic Medical Imaging (UDMI) in the Bronx, New York, is no different. The facility already uses electronic workflow tools for internal communication, from scheduling and transcription to billing and tracking patient movement along the chain of care. But UDMI’s drive for efficiency extends to external communication as well. 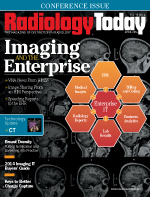 One way it’s trying to do that is by sending radiology reports directly to referrers’ EHRs, making them immediately available to referring physicians. UDMI still faxes some reports, but for referrers who have an EHR, UDMI can send the report instantaneously over the Internet using the secure file transfer protocol (SFTP). Robert Klein, UDMI’s administrator, says the practice frequently is asked to send reports at a moment’s notice, and the SFTP method saves staff significant time and manpower. Overall, the ability to send reports digitally has had a trickle-down effect on UDMI’s entire staff. To accomplish this, UDMI uses Advanced Data Systems Corporation’s (ADS) MedicsConnect feature, which is part of ADS’ MedicsRIS. The feature uses an HL7 standard interface that’s compatible with a referring physician’s EHR, regardless of whose EHR the referrer uses. The reports are sent straight from UDMI’s RIS, and the referrer can configure the EHR to automatically download the data to the appropriate patient file. Klein says this allows referrers to take action immediately. Electronic delivery also has reduced the number of reports that need to be re-sent. For a practice that sends more than 100,000 reports per year, that’s important. As UDMI continues to develop outgoing connections, Klein says there are plans for incoming connections as well. He says the next step is to enable electronic ordering from referrers. UDMI has a portal in place that will receive the orders, but the system isn’t running yet. A large hurdle is looming, though. The switch to ICD-10 later this year will complicate both sending reports and receiving orders. Klein expects it to be the most significant challenge for health care in the past 10 years. While many organizations still are digesting the Affordable Care Act and related HIPAA changes, it may take a little more time and support to figure out how to advance electronic communication. — David Yeager is a freelance writer and editor based in Royersford, Pennsylvania. He writes primarily about imaging IT for Radiology Today.